In a documentary about Samuel Fuller, the spectator gets different impressions about the Hollywood director and his films. The film is divided into the three sections: The Typewriter, the Rifle and the Movie Camera. The first segment covers Fuller's past as a newsman where he began as a copy boy and ended as a reporter. Part two describes Fuller's experiences in World War II, in which he participated as a soldier. The last section focuses on Fuller as director. 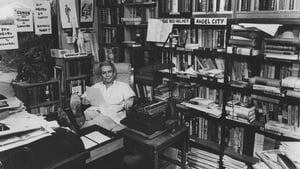 Tim Robbins interviews Samuel Fuller revealing the director's own memories and impressions. Beside the interview, Jim Jarmusch, Martin Scorsese and Quentin Tarantino accompany the documentary with their comments.